This morning, I filled my hummingbird feeder for the third time this year. Do you know what that means? It means that despite several late freezes, spring has officially sprung here in North Carolina. We welcome the warmer temperatures with great joy because my kids get so restless being trapped inside during the winter months. The hammocks get shaken out, the bike tires aired up, and the gardening gloves get dirty again. We look for other ways to enjoy the outdoors as a family, too. 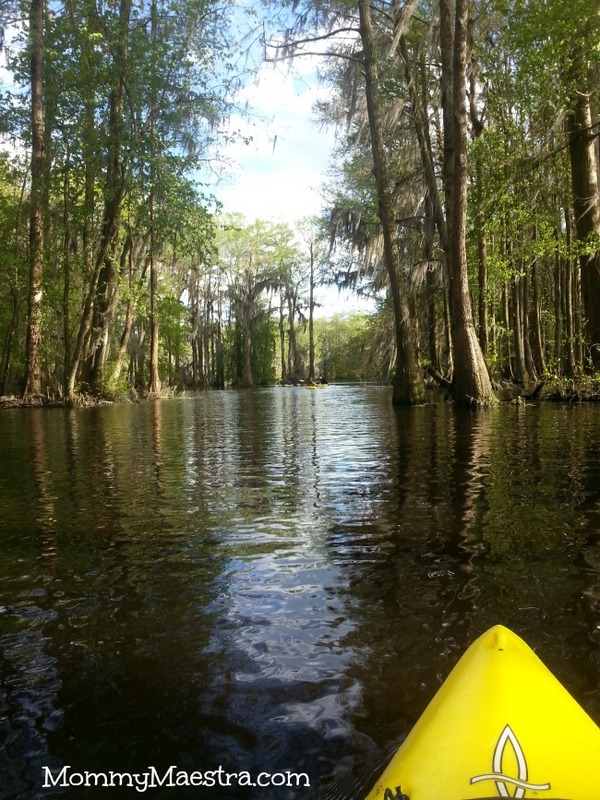 A couple of weeks ago, we broke out the kayaks and the fishing poles and headed down to our local swamp. We were lucky to have warm weather and plenty of biting fish! I loved that my family had the opportunity to enjoy such a beautiful setting at the beginning of the season. 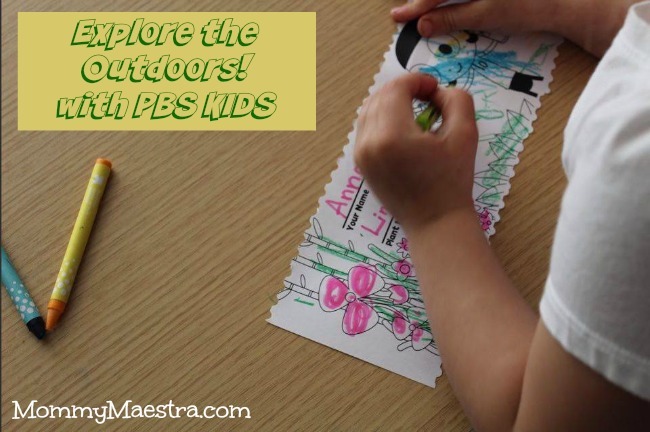 And once again, PBS KIDS is celebrating their annual Explore the Outdoors initiative with new programming and fantastic online content for your family. Last week, new episodes of Ready, Jet, Go! aired featuring earth science and astronomy concepts. Maybe your child learned about asteroids, meteors, and meteorites. Or maybe they learned about the northern lights. My kids are anxiously awaiting the new Wild Kratts episodes coming out next week, including the series' 100th episode! In true creature adventure fashion, my kids have been outside scouting for wildlife. They have been monitoring a dove nest in our carport for the last several weeks and the two babies finally fledged a few days ago. The first butterflies showed up a few weeks ago. 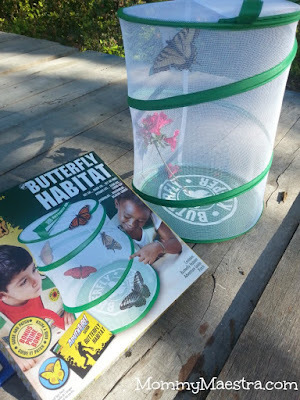 In fact, this weekend, my two kids went out and caught a tiger swallowtail and set it up in a butterfly habitat for an hour or two for observation before letting it go. But you don't have to have a fancy butterfly house for your kids to enjoy nature. There are fun activities available at pbsparents.org/outdoors that you can download for your children. From making planters out of tin cans to making your own Wild Kratts nature journal, you'll find easy to follow directions and engaging printables. Also next week, you'll see new episodes of Nature Cat. Your little ones might learn different ways they can help the environment or about nocturnal animals. So be sure you don't miss out!